The UVa basketball team overcame a 14-point first half deficit to beat Gardner-Webb 71-56. COLUMBIA, SC - The 1-seed Virginia basketball team dug itself a 14-point first half deficit but rallied to beat 16-seed Gardner-Webb Friday 71-56 in the first round of the NCAA Tournament. The Cavaliers outscored Gardner-Webb 41-20 in the second half, opening the half on a 25-5 run. Virginia fell behind 30-16 with 6:42 left in the first half. Some members of the team had flashbacks to last year, when Virginia lost to 16-seed UMBC in the first round of the tournament. 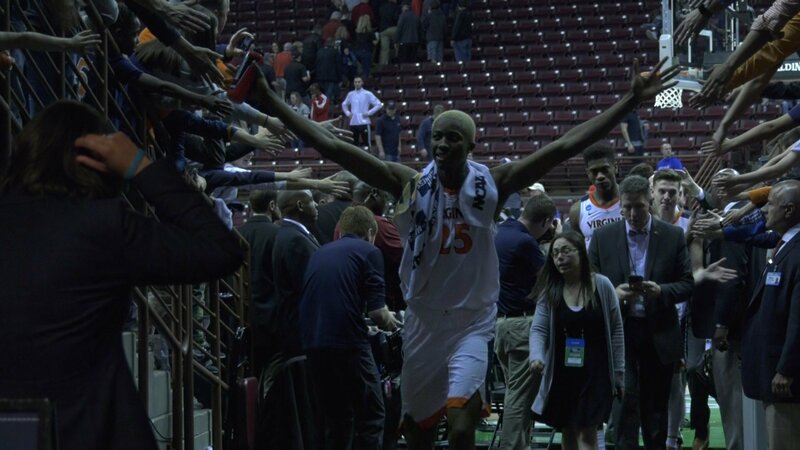 "I personally thought about it a little bit," says UVa forward Mamadi Diakite. "While I was in the game I looked up to the board and it was a 14 point lead. I didn&apos;t panic but I was feeling a little bit different about it. Once we got into the half we were able to lock in and come back in the second half." "We just needed to calm down and get our bearings a little bit," says UVA forward Jay Huff. "We talked it through, we knew what we needed to change especially on defense with some ball screen stuff. We never tried to get panicky." Virginia&apos;s De&apos;Andre Hunter scored 20 of his game-high 23 points in the second half. Mamadi Diakite had 17 points and nine rebounds off the bench. Ty Jerome was the only other Wahoo scoring in double figures with 13 points. Virginia advances to face 9-seed Oklahoma on Sunday in the second round. Oklahoma beat Ole Miss Friday 95-72.